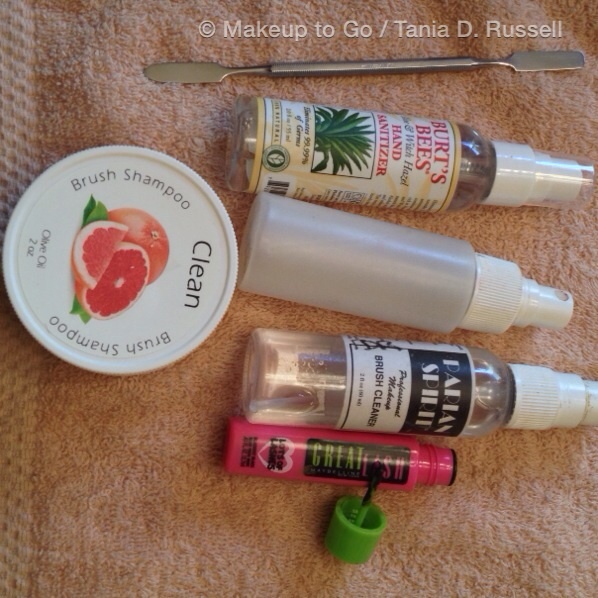 #MakeupMonday – Kit Sanitation | Makeup to Go! 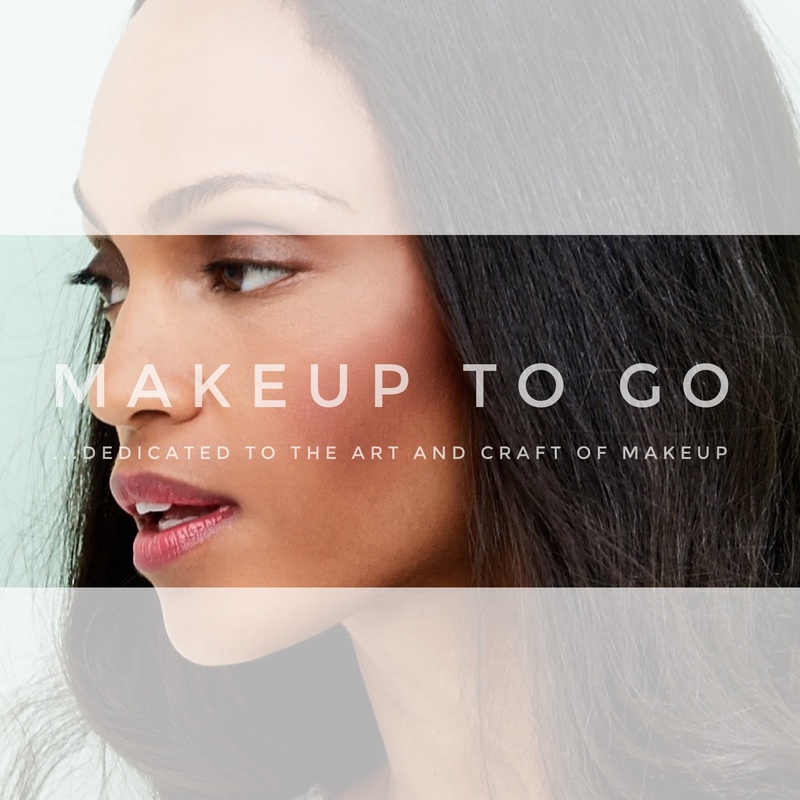 A couple of weeks ago here on Makeup to Go Blog, I posted an article regarding knowing when it was time to say “Goodbye” to your old makeup (click to read “Breaking Up Is Hard to Do: When to Toss Makeup). In that article I made mention of the fact that some rules can be bent or even broken. The trick? Kit Sanitation. Humans are bundles of bacteria, as are most things in the world. It is this constant contact with a barrage of bacteria why we cannot just keep makeup indefinitely. Think I’m exaggerating? Check out this LiveStrong article on the different types of bacteria found on cosmetics, transmitted through human contact. So we’re talking 3 different forms of Staph infection, and one other infectious bacteria that is even worse. No bueno. Short version: Keep your stuff clean!!!!! SPRAY WITH ALCOHOL AFTER USING. In my professional life I use a (preferably metal) spatula to take product out of its container so I can use it on my talent/client. On myself, of course, I just use the product directly on my face. In either case, I give a quick spray with alcohol after use (yes, even when using a spatula because the product has been open and hence exposed to air). Let the alcohol sit on the product for at least 30 seconds. I just give my product a good spray down and let it air-dry and by the time its fully dry it is good to go. SPRAY WITH ALCOHOL AFTER USING. Wipe top layer periodically. Powders should last you a while because they do not carry bacteria the way creams and liquids do. That said, unlike creams and liquids you have to use them right out of the pan. With creams and liquids you can decant as needed and not have to “double dip” into your product. Since using powder products is a constant “double dip” you’ll want to keep that top surface clean. Spraying with alcohol will NOT compromise your product, just be sure not to over saturate your product, and let the alcohol evaporate completely. You can – and should periodically – use alcohol wipes on your powder product so that you are actually removing the top layer of product revealing a fresh, new layer underneath. Some people recommend scraping the top layer of powder products, but one time of accidentally crushing your favorite eyeshadow, blush, or bronzer and you’ll see why I’m not a fan of that method. Mascara just does not live long so your first order of sanitation business is just to accept the reality of that reality. However, you can make your mascara last longer by ditching the wand that comes with it and using disposable wands the way professionals do. And by ditching the wand I do not just mean not using it, I mean cutting it off. Why? Because every time you take the wand in and out of the tube, you are pumping air into the product. This not only increases the likelihood of introducing bacteria, it also dries the mascara out faster so you have to replace it sooner. By cutting the wand off you can stretch your mascara’s life from 3 months to as many as 6 or maybe more*. 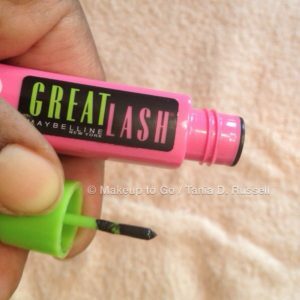 NOW – a lot of the hype with many mascaras on the market IS the brush itself and how it applies product or separates lashes or what have you. IF you want to use the wand that comes with the mascara you certainly can (on YOURSELF, not using it on multiple people), just know that you’ll have to replace your mascara more frequently. KEEP SHARPENED. SPRAY WITH ALCOHOL. Pencils can actually last a while if well cared for. I do an alcohol > sharpen > alcohol routine for all of my pencils in my kit. For yourself, if you just sharpen your pencils** right after using it and keep your pencils covered (don’t lose those lids!) you’ll be removing that outer layer where the bacteria lives and your pencils will stay happy longer. Extra Germaphobe points if you sharpen your pencil AND spray with alcohol after each use. With Gel liners, which is what I primarily use, I scrape a small amount of product out with a spatula and I spray the gel liner with alcohol after each use. As we all know, gel liners tend to dry out quickly anyway, and alcohol hastens the process. Therefore like mascara, this is just a category of product that does not last very long. Liquid liner is great for personal use but tricky for pro use because the brush/applicator sits in the product in the tube. Therefore to use the product you are constantly double dipping. For professional use if I decide I’m going to use a liquid liner for whatever reason it’s a case of one and done for me. I use it and I give it to the person I used it on and just keep it moving. For personal use, you can wipe off the brush/applicator tip with alcohol before re-inserting it into the tube. This may help a bit but again, this type of product by its nature just doesn’t last long. I said this in a previous Makeup to Go post and I’ll say it again: Everything I just wrote is completely moot if you do not keep your TOOLS clean. Your TOOLS are the items making direct contact to the skin and hence they are the carriers of the bacteria. – WIPE METAL TOOLS such as tweezers, eyelash curlers, pencil sharpeners and spatulas with alcohol after every use. And when they start looking raggedy, just replace them. – WASH YOUR HANDS before doing anything. Our hands are our most important “tool” in our “kits”. Before handling anything and certainly before touching your face, wash your hands with soap and hot water. At very least wipe with a sanitizing cloth and use hand sanitizer. It makes a huge difference. Preferably NOT 99% alcohol, it evaporates too quickly. I use either 70% or 91% alcohol, both of which are readily available at any drugstore. 70% is my favorite. The water content helps the alcohol evaporate more slowly so it disinfects more thoroughly but it is not so much water that it will ruin your product (I wouldn’t recommend a 50% alcohol, too much water). I’ve not personally tried it but I know many pros who swear by it. The main active ingredient in BSC is alcohol. The difference with BSC is the addition of emollient agents. They claim that straight alcohol can dry out and alter your cosmetics (not in my experience) and that BSC is formulated with a balance of disinfectants and emollients to prevent that from happening. Again, I’ve never had a problem with straight alcohol, but Beauty So Clean works and it smells good. If you’d prefer to use something other than straight alcohol, Beauty So Clean is there for you. Solid brush shampoo to deep clean your brushes. This shouldn’t need to be said but I’ll say it just in case: DO NOT USE BLEACH ON YOUR COSMETICS PRODUCTS. It’ll ruin them. However I do use a small amount of bleach on a q-tip to clean my pencil sharpeners periodically. Wipe, let sit for a bit, then RINSE with water and dry thoroughly. Do not try to soak your sharpener in bleach, it will rust all the metal bits (ask me how I know that 😐 ). STORAGE makes a big difference as well in the longevity of your products but speaking of long, this post already is. 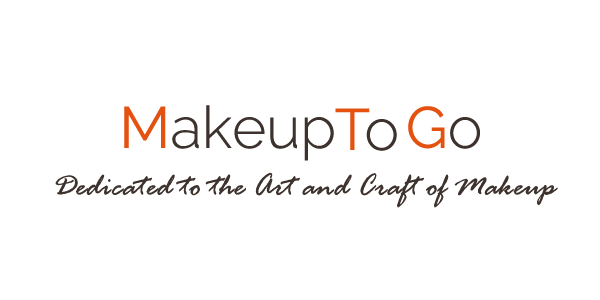 Look for a post on storing your cosmetics in an upcoming Makeup Monday. © 2014 – 2015, Tania. All rights reserved.